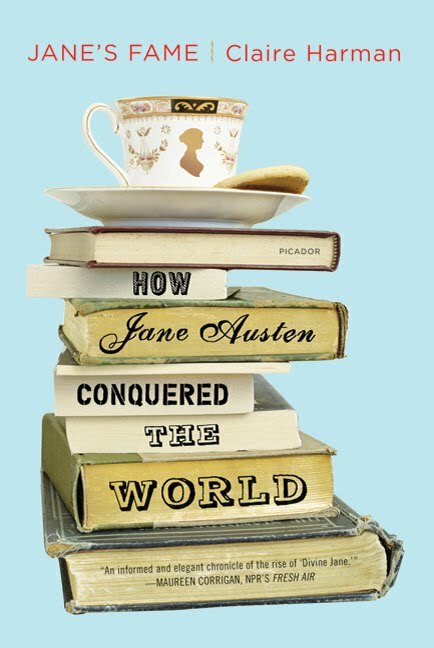 I am huge Jane Austen fan, and I'm always looking for books and movies that were inspired by Jane's work. 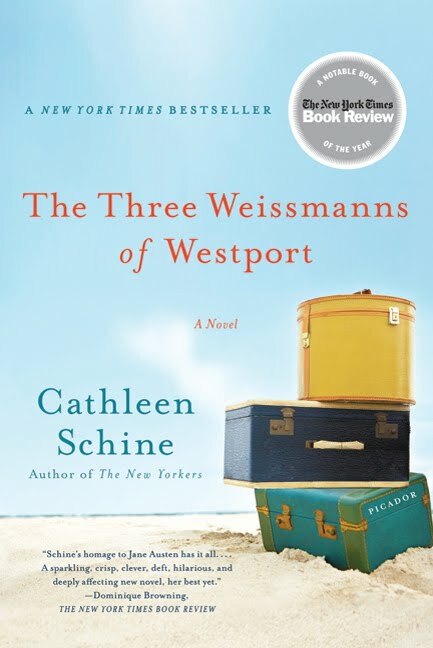 On Monday I reviewed The Three Weissmann's of Westpost by Cathleen Schine, a modern-day retelling of Austen's Sense & Sensibility. Although the novel stands on its own, I loved anticipating the plot and finding echos of Auten's words in a twenty-first-century setting. Yesterday I reviewed Jane's Fame by Claire Harman, an exploration of Austen's place in the literary world over the last two centuries. This very readable study of Jane, her work, and her popularity is fascinating. I wonder what Jane would have thought of Colin Firth as everyone's favorite Mr. Darcy. I'm thrilled, thanks to the publishers, to be able to offer a copy of both books to one lucky reader. Because this give away is sponsored by the publisher, it is open to only those with a U.S. or a Canadian mailing address. To enter, fill out the following form. 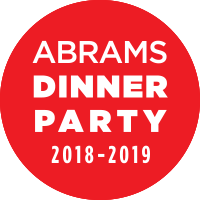 I will pick a winner via random number generator on February 14 (and then will delete all data from my computer). Good luck! Thanks for the giveaway. Both books sound good! What an awesome giveaway, Beth! Thanks for hosting it!! My fingers are crossed. Both of these sound great. I'm adding them to my list either way. Thanks for the chance. I just love Jane and I'm glad to see her popping up everywhere. Two great reads in one great giveaway! 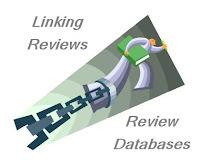 Two great books, one great giveaway! Thanks! Oh - I would love to add both of these books to my growing collection of Austen material. Thanks so much for offering!